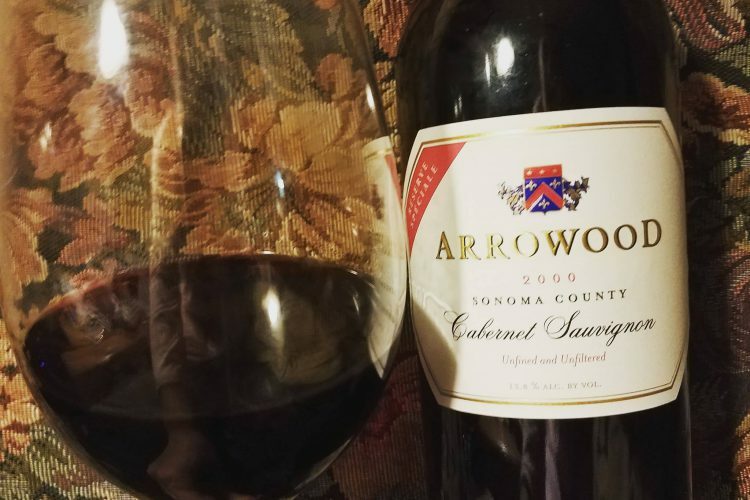 Enjoying a glass of Arrowood 2000 Cabernet Sauvignon which we bought at the winery on a trip out west. The Red Sox play their game :). And Far From Eden played an awesome private gig earlier tonight. A wonderful day. What are you up to? Enjoying a glass of Conti Torraiolo trebbiano chardonnay while I get some work done. What are you drinking tonight? Anything tasty? Enjoying a glass of Chateau Ste Michelle chardonnay from Washington State while I prepare for tonight’s writing group. I love helping authors. What are you guys drinking tonight? I’m finishing off a glass of Cabernet. 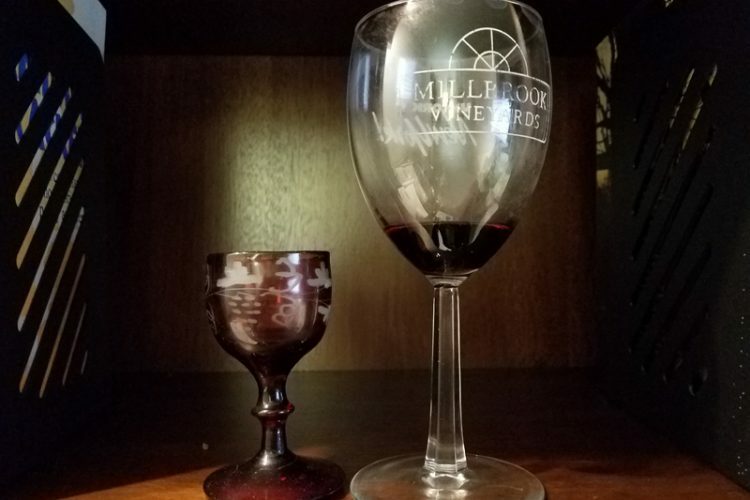 I put my glass next to a vintage glass I have from 1780 – look how tiny the Georgian red one is! Were those Jane Austen people drinking tiny thimble-fuls at a time?? 🙂 What are you guys drinking tonight? A dear friend of mine knows I love wine; she gave me a bottle of Santa Barbara Landing 2014 Chardonnay for Christmas. I appreciate all presents of wine of all varieties :). What are you drinking tonight? Decided to open up the Mumm bubbly because … well, just because. Sometimes you need a treat in life. What are you guys drinking tonight? 2008 Ridge Zinfandel – a special treat! It’s drinking quite nicely. I only have 1 left … what are you drinking tonight?